Gotta love those OPI nail polish names! At least you got polish on — I’m impressed! 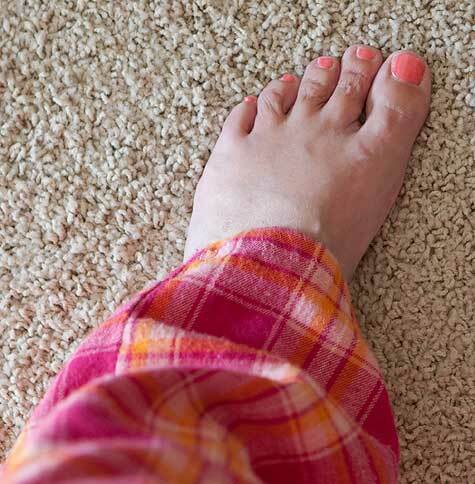 I don’t have my toenails done, but I do have those same jammie pants. That has to count towards something. I have long said that the staff members of OPI must have a big meeting, in a bar, where they drink jello shots and then name their new line. It’s the only scenario that makes sense.